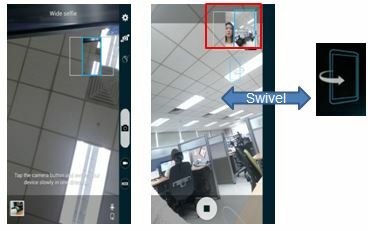 [Galaxy Note EDGE] How to use Selfie mode with beauty face using the front camera? back of the device to take selfies easily. 5. Slowly swivel the device left and then right to take a wide self-portrait.